Ecotest VIP personal radioactivity detector. Made by Ukraine, English version. 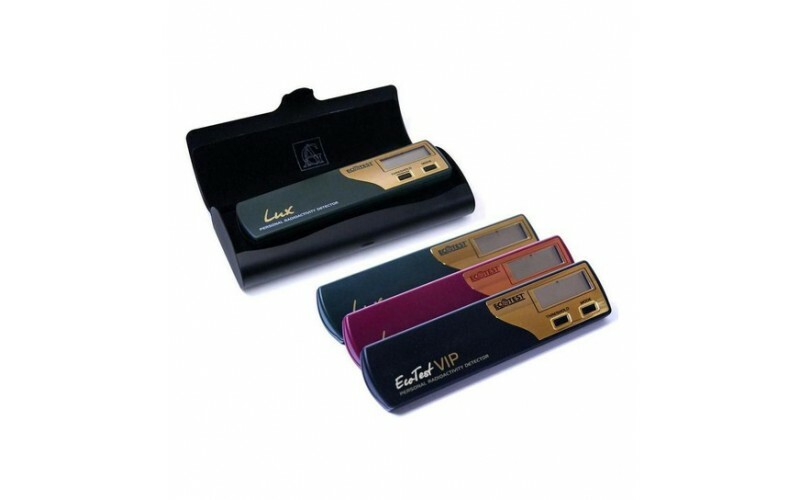 The Ecotest VIP is a world class quality personal radioactivity detector for gamma radiations. 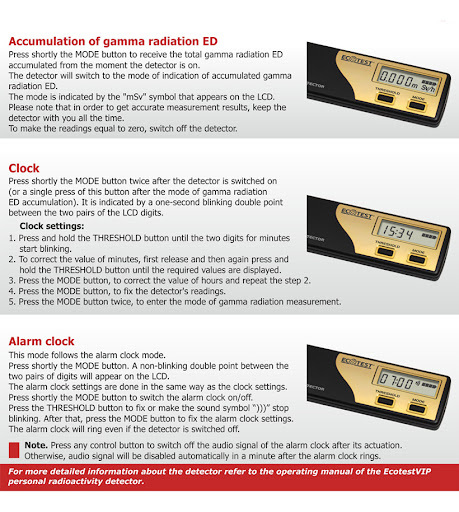 The professionally designed and functionality oriented device alarms about the dangerous radiations along with evaluation of dose rate and levels of dose of harmful gamma radiations. 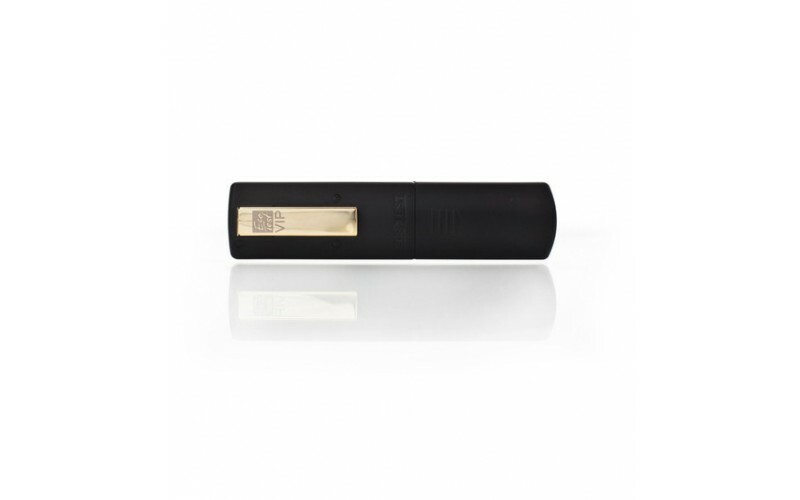 Focused on safety standards, it has been designed with high sensitivity towards hard X-rays. 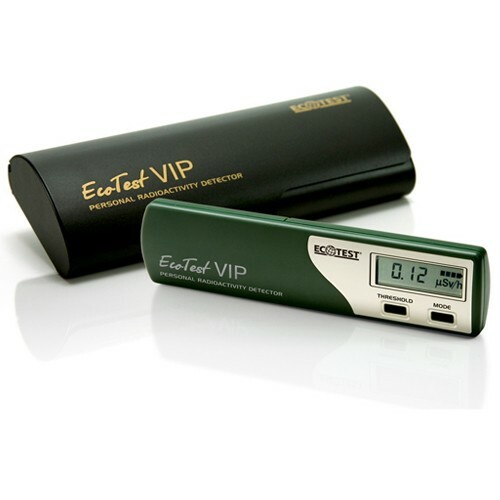 Ecotest VIP is a handy, simple to operate personal radioactivity detector. 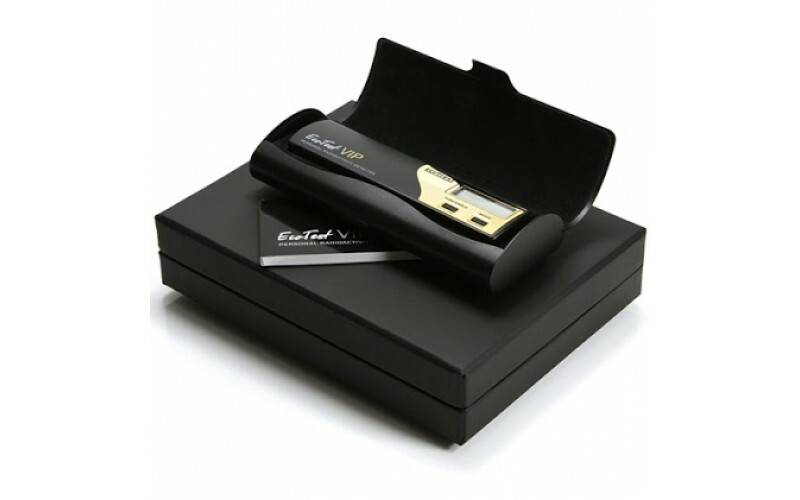 Its user friendly design does not require any special training from the user end. 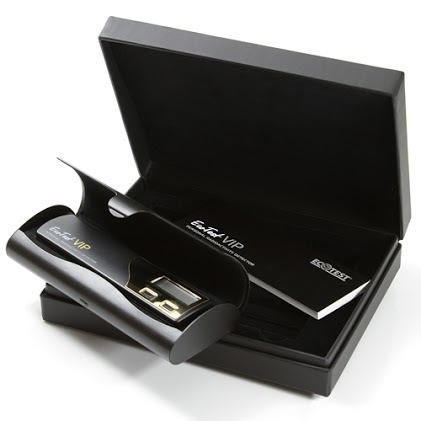 Engineered for easy functionality, the detector starts working immediately after switching on. 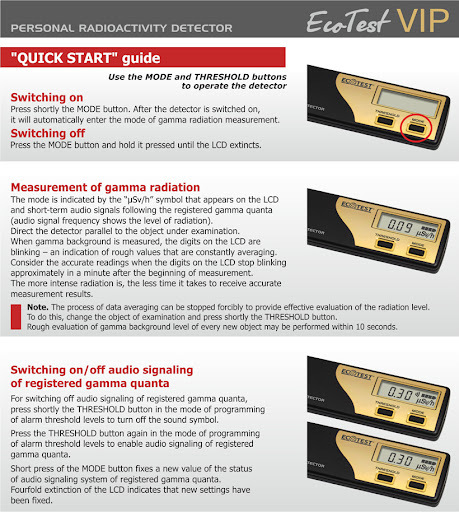 You only require placing it in a convenient location and it starts signaling dangerous gamma levels. 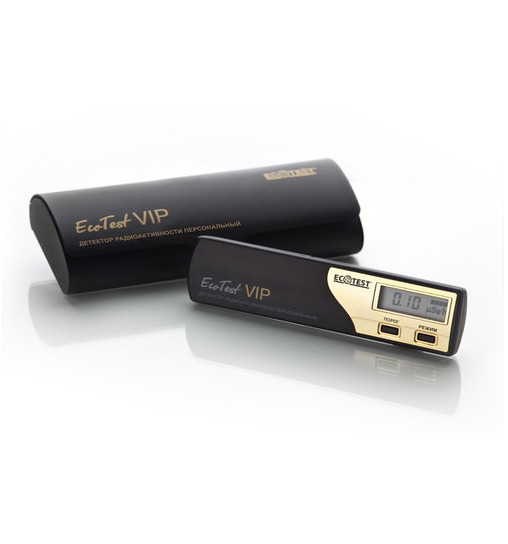 Ecotest VIP is savvy device which automatically assesses radiation background levels and alerts with sound signals for possible hazards. 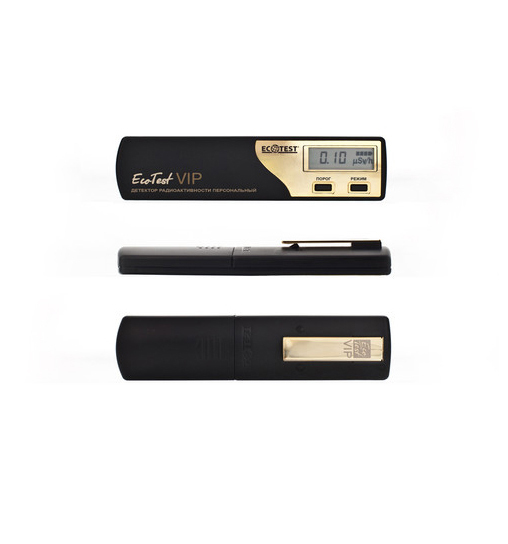 The device is skillfully manufactured with the function of auto switch off LCD in 5 minutes in case of safe radiation levels; further proceeding to the energy saving mode. 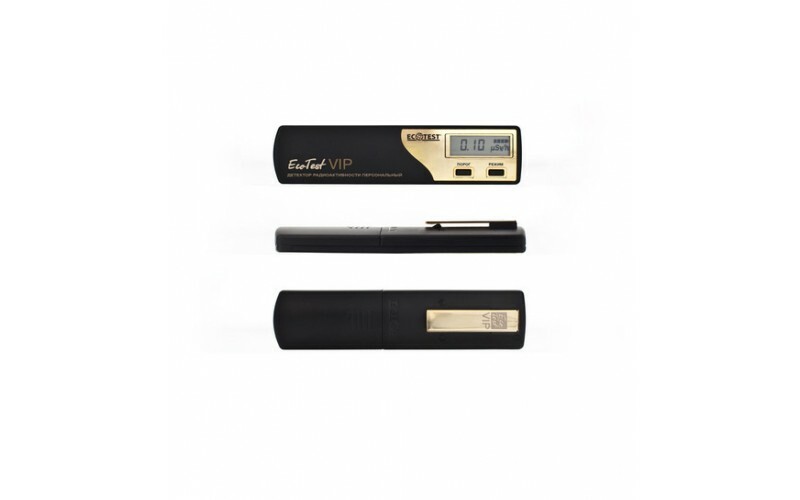 However, the device remains alert and signals in case radiation levels increase beyond the safe zone.